This Autumn, a very special group of professionals are gathering in scenic East Cork to invest time in their futures. The good news is that you still have an opportunity to join them. Thanks to unexpected unavailability of previously registered people, we have a couple of spaces now in this high-calibre group. This is a chance to properly unplug from the craziness of everyday life, take a deep breath and get some real clarity for the road that lies ahead. 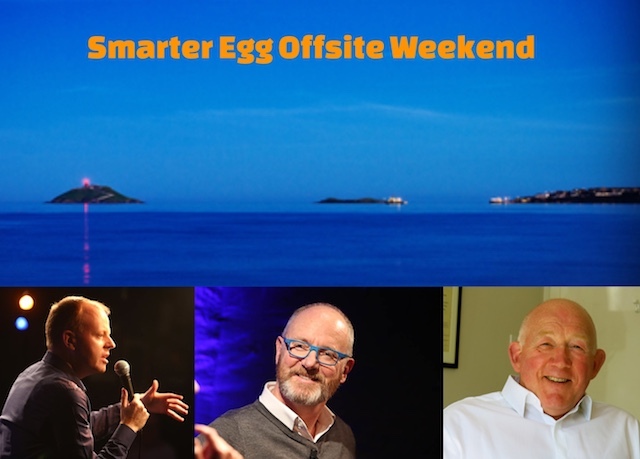 Joining us will be Ireland’s leading speaker and coach in the area of Mental Fitness, Neil O’Brien, and coaching psychologist and author of ‘Mindful Walking’, Hugh O’Donovan. The two days have been carefully designed and customised to suit the participants and the surroundings. This is not a series of classes, but a process that taps into the wisdom in the room, generating the kind of insights that can make all the difference. You can read all about it here, including some answers to additional questions that people have asked us. But for you to gain the benefits of this experience, you have to take action. Contact us now to signal your interest and we’ll take care of you from there. We hope you’ll give yourself permission to join us. This entry was posted in Uncategorized on September 14, 2017 by Aodan Enright.